Looking for great apps at a fraction of their regular cost? 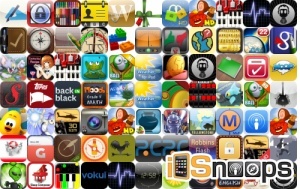 We’ve found 73 iPhone, iPad and iPod touch apps that are currently on sale. This app deal alert includes Rush City, Apache 3D Sim, Canabalt, Balliland XL, Balliland, Monster Shooter: The Lost Levels, Gesundheit!, Swords and Soldiers, Atlantis Quest, PhotoToaster, Safety Note+, and many others.